Online exhibits are rich resources for broader audiences with broader needs. Distribute on any device or screen size for use on the road, in the home or in the classroom. 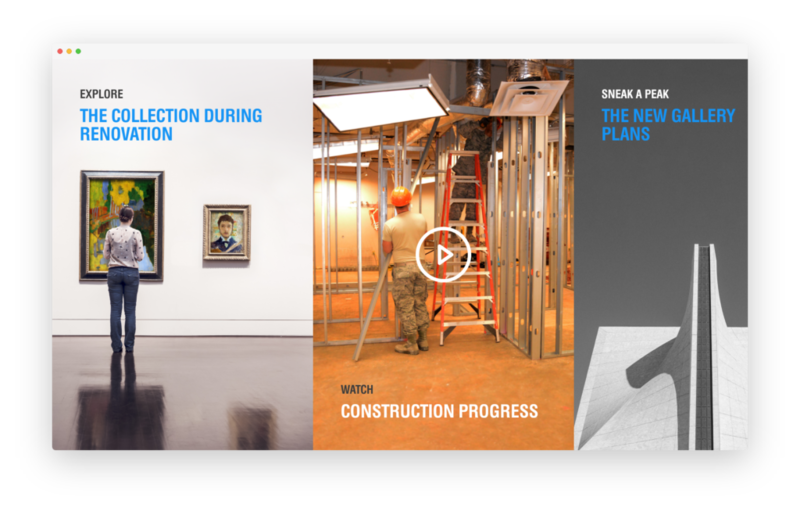 Check out four use cases that we pulled together from our own concepting conversations with museums just like yours. 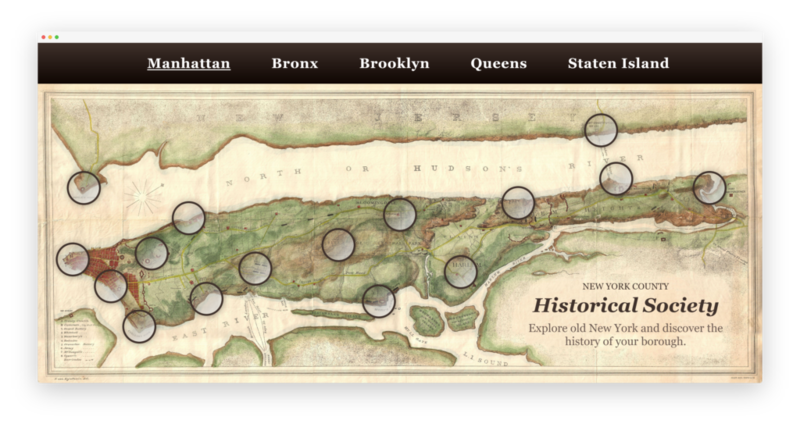 Online exhibits can serve as educator tools before, during, and after field trips. 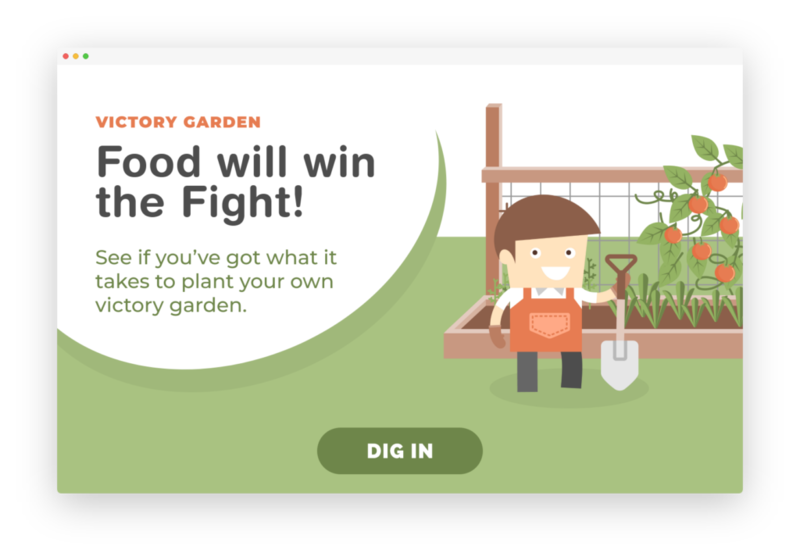 In the Victory Garden: Food will win the war!, students learn about the history of victory gardens and how to maintain their own garden onsite. 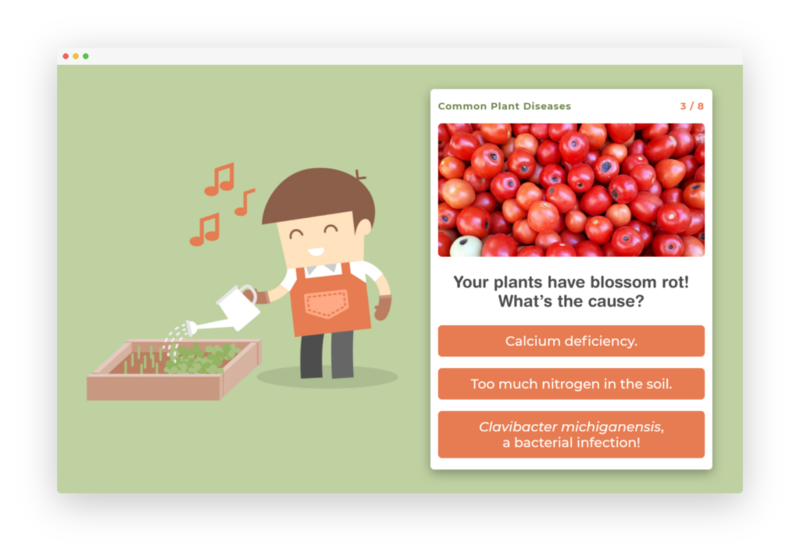 This assessment game challenges students to assess their gardening know how before visiting and then recall common garden afflictions and their solutions after the visit. Archives, historical societies, and many cultural institutions are treasure troves for historical documents, maps, photographs, and oral histories. 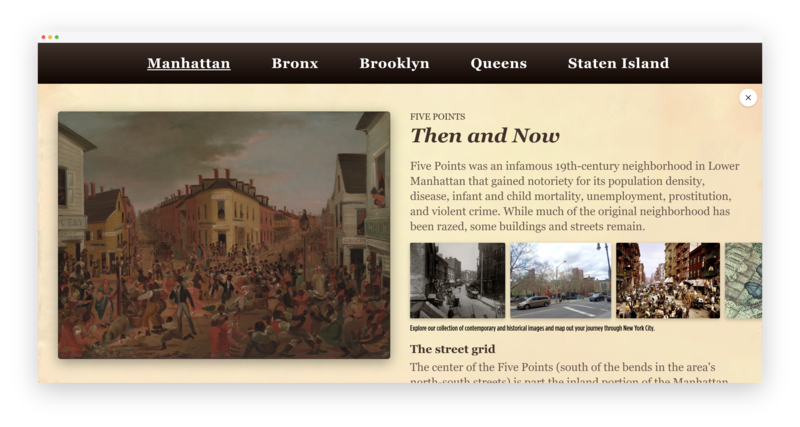 Online exhibits offer an ideal space for communities to discover their own histories. A virtual experience makes room for breadth and depth, especially for those institutions with limited exhibition space or trying to engage audiences outside the building. In this example, visitors explore New York City’s historic landmarks and compare them to contemporary photographs. Engage Audiences Even When Closed for Construction. New buildings and gallery renovations slow down foot traffic and prevent visitors from engaging with museum collections directly. 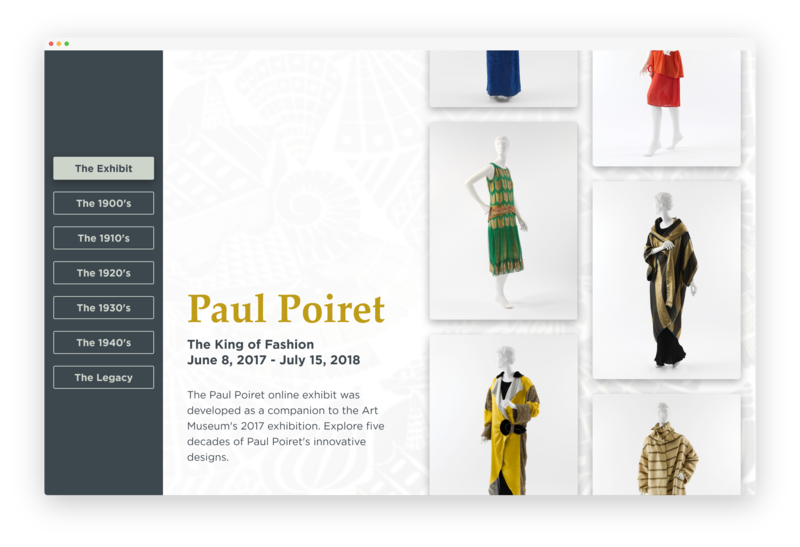 Online exhibits offer an opportunity to connect with past and future visitors through a web application available in-gallery or outside the building. Offer up multimedia interpretation of collection objects. Give a sneak peak at construction progress or even let them explore the architectural plans for the exciting new space! Online exhibits are often companion pieces to physical exhibitions at the museum. They give both the general public and scholars access to exhibition objects and (sometimes supplemental written and multi-media) interpretation well beyond the closing date. 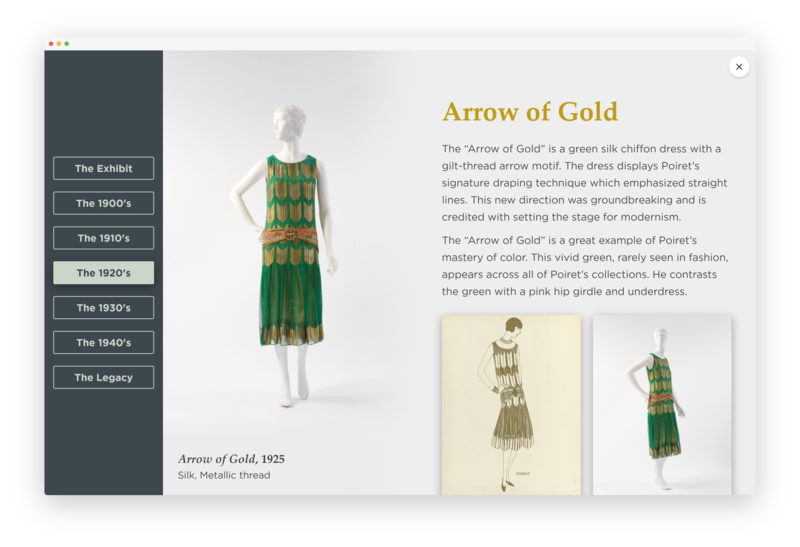 In addition to the online acting as an archive of the physical, these virtual exhibitions also give access to audiences that could not travel onsite. Want to chat about an online exhibit on your museum website? Let’s talk.